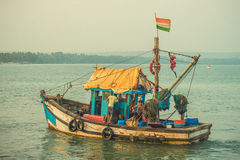 7,026 indian flag stock images are available royalty-free. 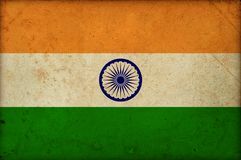 Happy independence day , Tri colour Indian Flag. 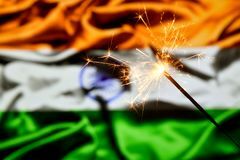 Tri colour Indian Flag , flying flag , Happy independence day Close up of sparkler burning over India, Indian flag. Holidays, celebration, party concept. Close up of sparkler burning over India, Indian flag. 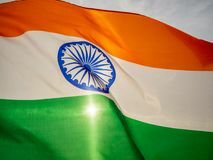 Holidays Indian flag. 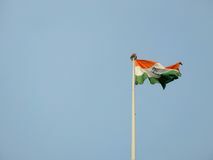 National flag of India flying high against sky Indian flag. 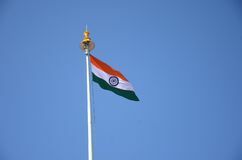 National flag of India flying high against sky Indian flag. 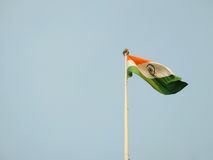 National flag of India flying high against sky Indian flag. 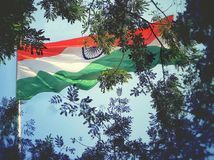 National flag of India flying high against sky Indian Flag of India. 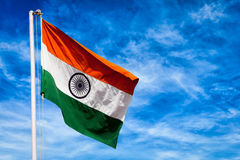 India, Indian national flag background Indian Flag. Fluttering in blue sky The wavy Indian flag on the sunset sky. 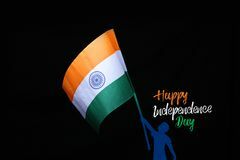 Indian independence day. Celebration flag Indian Flag. 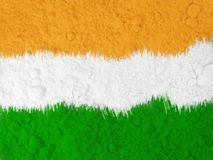 India - Indian Flag on Old Grunge Texture Background Indian Flag. 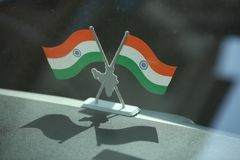 Indian National Flag waving. 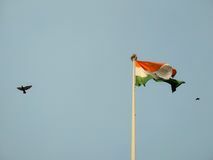 Picture taken from Bangalore International Airport Indian flag. 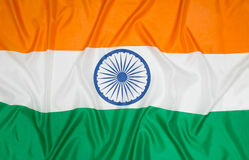 And mast isolated on white background Indian man and indian flag. 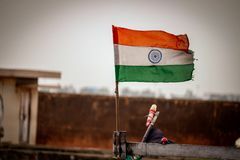 Young and handsome indian man holding and waving indian national flag or tricolour at outdoor location near lake Indian flag and people. 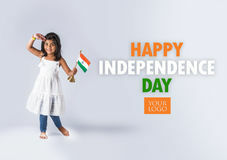 Cute little indian girl holding indian flag Indian handsome boy or man in white ethnic wear holding indian national flag and showing patriotism, standing isolated over white. 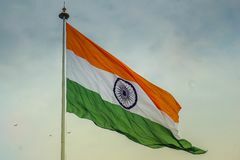 Background Indian flag of India. India symbol indian flag against blue sky Indian flag waving in the wind. City center of New Delhi. India Red Fort Lal Qila with Indian flag. Delhi, India. 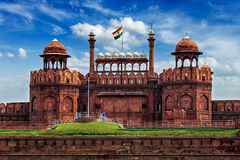 India famous travel tourist landmark and symbol - Red Fort (Lal Qila) Delhi with Indian flag - World Heritage Indian national flag. In the sky Indian woman with flag of India. 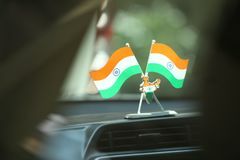 Portrait of indian woman wearing traditional clothes with greeting gesture in front of Indian flag Stock photo showing Indian low and jurisdiction - Indian national flag or tricolour with wooden gavel showing concept of law in In. 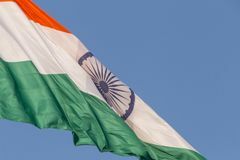 Dia Indian Flag. On a fishing boat Red Fort Lal Qila with Indian flag. Delhi, India. 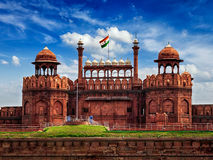 India famous travel tourist landmark and symbol - Red Fort (Lal Qila) Delhi with Indian flag - World Heritage Indian Flag. 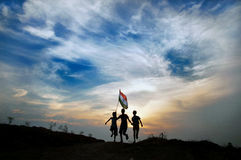 Indian national flag , clouds in the sky in winter evening, on the eve of Republic day ceremony of India Indian Flag. Indian national flag , clouds in the sky in winter evening, on the eve of Republic day ceremony of India Indian man and indian flag. 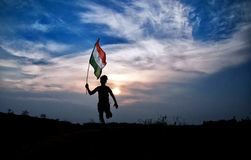 Young and handsome indian man holding and waving indian national flag or tricolour at outdoor location near lake Tricolor Indian Flag with Sky in Background. 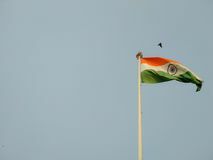 Tricolor Indian Flag with Sky Boy with indian national flag. On green grass Tri colour Indian Flag. Flying flag Indian flag and people. 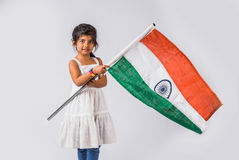 Cute little indian girl holding indian flag Indian National Flag. 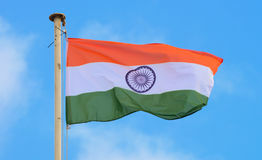 Waving Indian National Flag on blue background of sky Indian National Flag. Mini Indian National Flag against backdrop of India Gate, New Delhi, India The wavy Indian flag on the sunset sky. 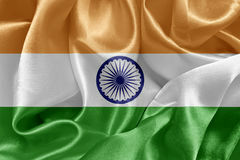 Indian independence day. The wavy Indian flag on the sunset sky. 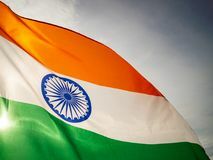 celebration flag.Indian independence day Grunge national indian flag India independence day. Grunge textured vintage style national indian flag. India independence day Indian flag. 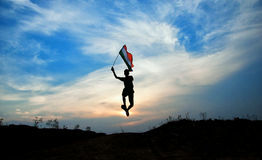 Red white green realistic Student Running with the Indian Flag. At the ceremonial of the border between India and Pakistan Indian handsome boy or man in white ethnic wear holding indian national flag and showing patriotism, standing isolated over white. 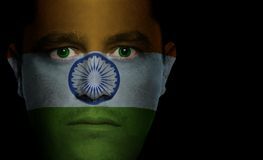 Background Indian Flag - Male Face. Indian flag painted/projected onto a man's face Female student over Indian flag. 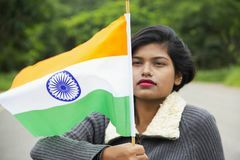 Young female student smiling over Indian flag Boy with indian national flag. 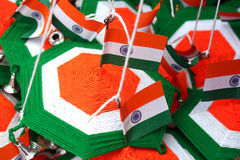 On green grass Indian Flag Decorations. 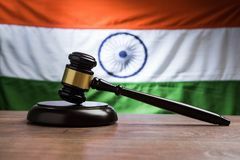 A background of Indian flag decorations Stock photo showing Indian low and jurisdiction - Indian national flag or tricolour with wooden gavel showing concept of law in In. Dia Boy with indian national flag. On green grass Indian Flag and a group of business people. Boy with indian national flag. 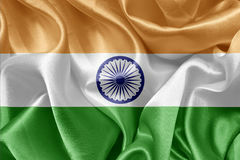 On green grass Indian Flag. Indian national flag Cute looking indian kid with indian flag. 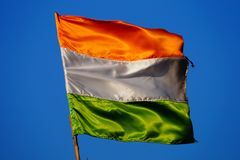 Indian Flag. 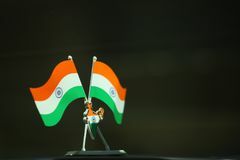 Camera shot on Indian Flag with isolated background Boy with indian national flag. On green grass Student Running with the Indian Flag. At the ceremonial of the border between India and Pakistan Army soldier holding Indian flag and smiling. 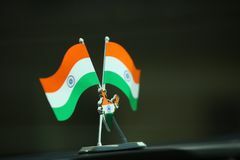 Portrait of an army soldier holding Indian flag and smiling Indian Flag. 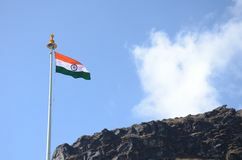 On the mountains of Skkim Indian Flag. On the mountains of Skkim Classic house on Indian flag background. Classic house against Indian flag background Indian Flag with indian map. 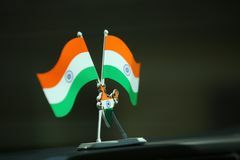 Indian Flag with indian map. 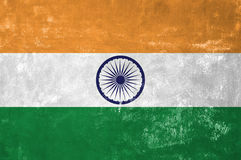 Indian Flag with indian map. 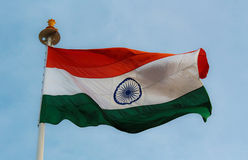 Indian Flag with indian map. 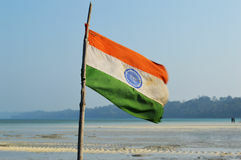 Indian Flag with indian map. 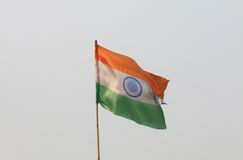 Indian Flag with indian map. 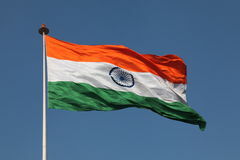 Indian satin flag. 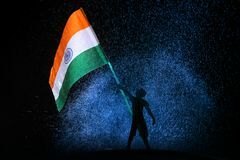 Background canvas Indian national flag colors background. Art with Holi colours showing Indian national flag and the spirit of the celebration of the festival of colors Indian flag from chopped vegetables. 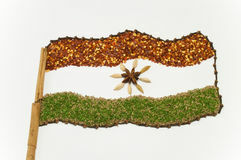 Indian national flag from chopped raw vegetables: carrot, cabbage and green beans on the textured table represent pure Indian Head and flag patch on army soldier uniform. Indian Head patch of the 2nd Infantry Division of the US Army and USA flag on the sleeve of a returning Iraq Indian Flag on Red Fort. 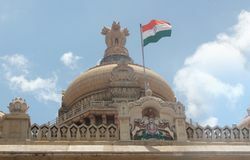 Indian flag on the roof. Blurred palm tree in foreground Women and Indian flag. 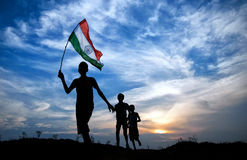 Image of Women and Indian flag Boy with indian national flag. 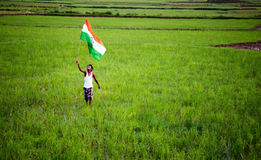 On green grass Indian flag in hands. 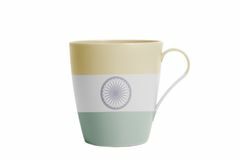 Image of Indian flag in hands Cup with Indian flag. Isolated on white background Indian flag. 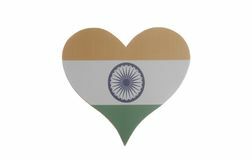 Blue sky on the background Heart with Indian flag. 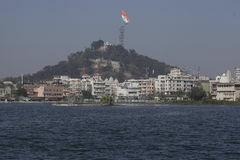 Isolated on a white background The largest Indian national flag in the world hoisted in ranchi. 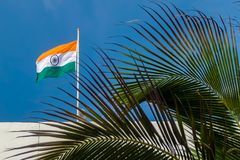 The largest Indian national flag hoisted in the world. 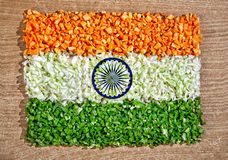 location- Ranchi (Jharkhand) Height- 493 Indian flag Displayed in Spices Indian flag. Indian satin flag On fabric texture Close up of Indian flag. Close up of big Indian flag Indian flag on Vidhana Soudha - travel bangalore. Indian national flag in tri color (orange, white & green) with ashoka chakra on vidhana soudha legislative India, Goa - February 2, 2017: A fishing boat with an Indian flag sails into the sea. Close-up of young Indian girl holding Indian National flag covering half her face, Pune. 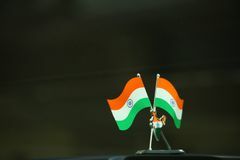 Close-up of young Indian girl holding Indian National flag and looking at it with pride, Pune.